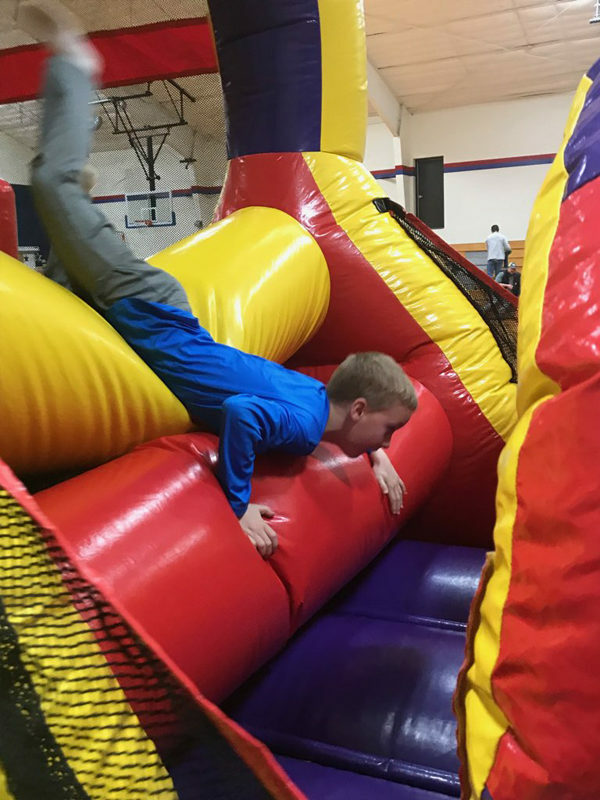 Fourth-grader Tripp Peterson dives headfirst into the fun. He and his peers enjoyed the carnival that the Marion Elementary School provided. 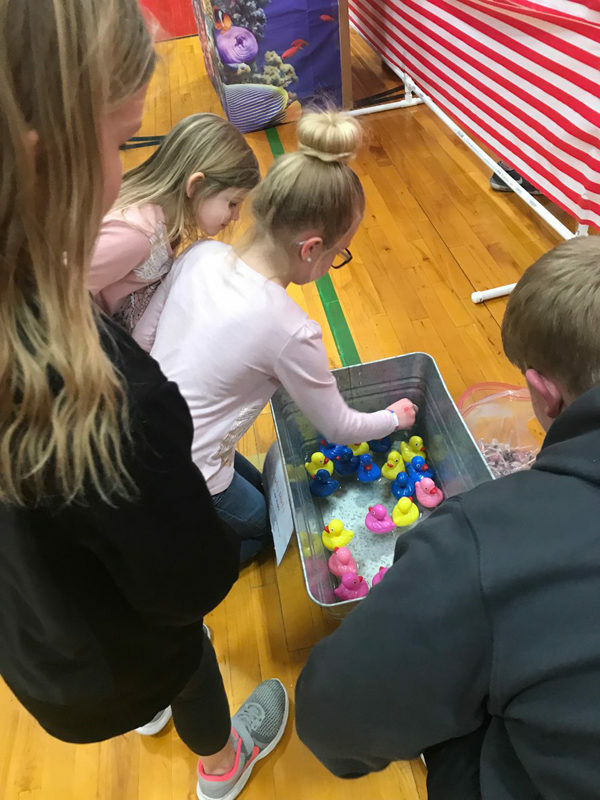 Marion Elementary School students play a game at one of the many booths volunteers put together and ran at the school carnival on Friday.